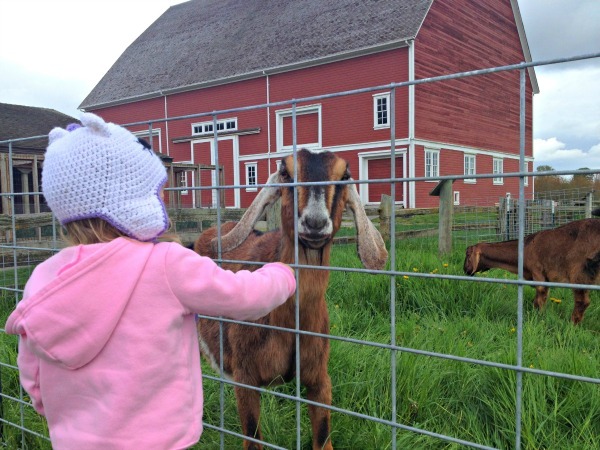 Sitting just south of Main Street is one of Whatcom County’s largest gems, Hovander Homestead Park. This 350-acre mega-park has something for everyone. 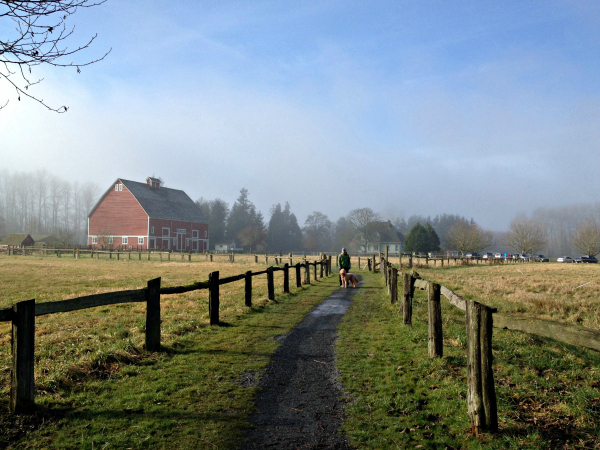 There’s the expansive, flat (read: stroller friendly) Nooksack River Trail, stretching from Main Street all the way to Slater Road, an off-lease dog park, a new playground, farm animals galore (goats! chickens! geese! bunnies! horses! ), an interpretive story garden, old barns and vintage farm equipment to explore, a viewing tower, and picnic tables aplenty. 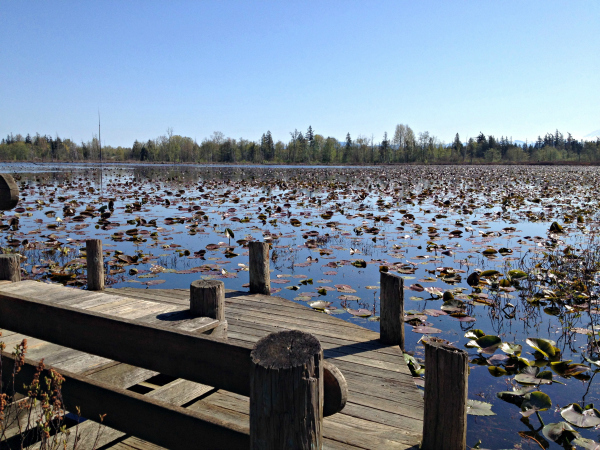 The adjacent Tenant Lake provides even more nature exploration with a meandering boardwalk through the wetlands, another viewing tower, and a fragrance garden. Two words: chocolate malt. Longtime Ferndale residents know that this cold, creamy drink is best paired with a Grant’s Burger (2254 Douglas Road, Ferndale). You can get both to-go from the walk-up window. Or, eat in and enjoy the classic jokes that cover the walls of the interior, in memory of the original owner, Russell Grant. Good Burger (5687 Third Ave., Ferndale) is another great option for a satisfyingly huge burger. Try the waffle fries — you won’t be disappointed. And, psst! You can get your tater tot and cherry limeade fix at Sonic Drive-In (1851 Main Street, Ferndale) — Ferndale is home to the only location in Whatcom County. Located right off of I-5, it’s just a quick commute to Bellingham. Big city fun in Seattle is under two hours by car. And, with just 17-miles between Ferndale and the Canadian border, Vancouver, and the beauty of the lower mainland of British Columbia, are just a quick trip north. Vintage Pyrex. Mid-century sofas. Retro paint-by-number kits. I do my best treasure hunting at some of Ferndale’s great thrift and antique shops. For rare finds, check out McKay’s Variety (2036 Main St., Ferndale) or Etta’s Attic (2009 Main St., Ferndale). For larger pieces, visit Picker’s Paradise (6213 Portal Way, Ferndale) or the Habitat for Humanity Store (1385 Admiral Place, Ferndale). If you want wide, open spaces out your bedroom window, you can get that in Ferndale. If you are more of a cul-de-sac dweller, that’s an option here too. Ferndale has affordable options for living, whether you’d like to be walking distance to downtown or miles from anyone. Watch men in kilts at the spring Scottish Highland Games. 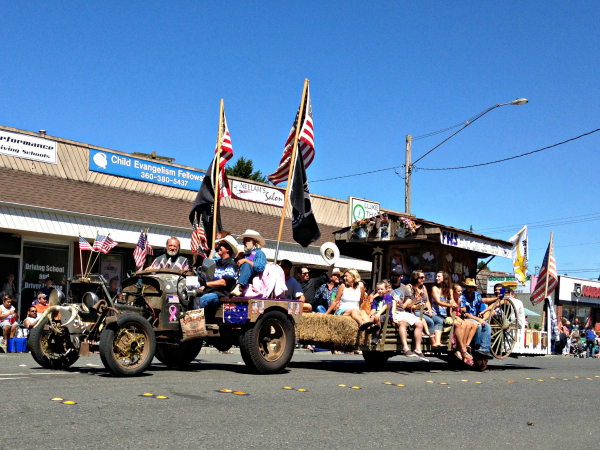 Go to a parade and an old-fashioned barn dance at Pioneer Park during the Old Settler’s Picnic in July. And, check out street vendors and food trucks at the Ferndale Street Festival in August. Nope, that’s not a fake movie backdrop… it’s a real life mountain. There’s nothing better than the view of Mt. Baker and the Bay from the top of Church Road in Ferndale. The ConocoPhillips Sports Complex, near Pioneer Park, features manicured, lighted fields and is home to loads of summer softball tournaments and baseball games. For even more fun, there’s the newly constructed bike park nearby too. If the wind blows a certain direction, you’ll often detect a fragrance wafting across Main Street. Like fresh-cut grass on a spring morning, it’s a distinct fragrance — a combination of animal feed from Cargill/Ferndale Grain, peppered with the aromas of the nearby farmlands. Call me crazy, but I love it. While it may be something that most people would have to learn to love, to me, it smells like… home. The City of Ferndale is looking for support and volunteers for the STAR Park Playground Project. When it’s complete, this kid-designed, community-built playground will be Ferndale’s largest.. and it just might move to the top of the list of things I love about this great town! Ferndale families, what do you love about living there? This entry was posted in Life and tagged Ferndale, Guest Bloggers, Local Blogs, The Average Jess on June 4, 2014 by Katie Kavulla. This is such a nice post. I really really liked it. Great read but you forgot to mention Maggie’s Pub,The best place to get a beer in Ferndale. Good suggestion, Mark! I need someone to do an entire list on where to grab a beer in Ferndale! Haha #10 is hilarious. I don’t know if I’d say I like that ‘farmland’ smell, so much as tolerate it. My favorite part of living here is the pink petunias hung on every light post and the flags they put out for Memorial Day, Labor Day, Independence Day, etc. Those flags that line the streets for patriotic holidays. I get chills every time I’m walking or driving by. Trying to remember the NFL players, I know there’s Michael, Jake & a guy from the 80s (? ), who’s the 4th?